This is a gorgeous book. The cover shot shows a lake, water lapping the pebble-covered shore, and the title in an intriguing font. Seriously, a beautiful book. One that I couldn't even begin to get through. I tried to read it to my age in pages...barely made that. Jumped around a bit trying to find a thread to pull me into it, but it was impossible. I'm sure it probably has some literary significance, but it was too depressing and bleak. Unlikable characters behaving badly. All human interaction seemed filled with hostility, and a feeling of dread just weighed it down too much. (Somehow it made me think of Franzen's The Corrections, another book I couldn't finish). I can't accurately say it was a terrible book because I couldn't read enough to be fair. But, you know, life is rough enough. And not to sound all Pollyanna about it, but I really didn't need to dive into the lives of these awful people. Sure, I've read my share of Cormac McCarthy, which are plenty bleak, but there's something about those that feel like they relate to a bigger picture or message. I didn't get that feeling from what I've read here. Special thanks to Harper for the Review Copy. See that face? Adorable, right? Fancy a snuggle with this sweet little kitty? Think twice. For this is no ordinary cat. It's Oscar...the death cat. Remember last fall on the news, about the cat that predicted the impending deaths of rest home patients? This is he. The phenomenon appears to be that in the last twelve hours of life, for a patient who is visibly weakening or else perfectly fine, Oscar appears and cuddles them in their bed. He is not affectionate at any other times. Infallibly, it seems, he's accurate, and the patient dies. Dr. Dosa really didn't fall for the idea at first, and took some convincing. In terms of evidence, they simply kept track and noted that for the most part, there is no preceding signs that would tell Oscar something was up. No catnip-scented medical equipment or anything else that would lure him to the bedside. Some patients were unconscious, others were speaking and behaving normally. No one can explain how his intuition works, or if it's just a fluke. Aside from the fascinating but creepy details, the book details the ins and outs of rest home life (um, not appealing in any way). Apparently cats are a typical accoutrement of rest homes, as they provide comfort and a homey feeling that residents appreciate. Obviously, my cats would not likely be hired because of their surly attitude. I expected the book to be rather light-weight, and hesitated before reading it. I'd received piles of 'dogs of note' books over the last year that were cutesy and saccharine sweet. 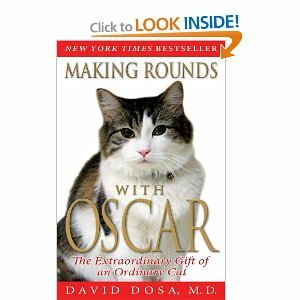 It was odd to actually see a cat book by a doctor. 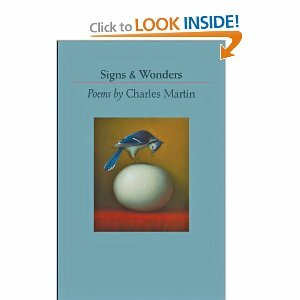 Once I began reading, I did find it an interesting subject to analyze. Just how much do animals understand? How keen are their senses? We take for granted dogs can sniff out drugs, but cats? What can they do? I think my only complaint is that the portions of the narrative that contain dialogue sound forced and unnatural-people don't speak in full sentences, and the back and forth exchanges of conversation didn't feel real at all. Other than this, and the depressing nature of rest homes in general, this was a satisfying read. Special thanks to Hyperion for the Advanced Review Copy. Ann M. Feldman is an esteemed professor of English at the University of Illinois in Chicago. This book is focused on the role of teaching essay writing in the primary levels of university, with the goal of creating meaningful and motivated writing rather than simply acquiring grammatical and argumentative skills. The first difference I saw in her methods from the university that I attend is that she resists the use of such textbooks as Signs of Life in the USA or The Conscious Reader, which are compilations of essays and excerpts of excellent writing. In many schools, these serve as a jumping off point for students to write response essays to the subjects addressed. Her opinion is that in forming a response, the learning writer is too passive and is limited by the subject matter in the textbook. Her response is to instead involve students directly in the community, writing about topics that are controversial and actively being debated; thus, their writing is less passive and has a purpose to convince and relate to active social issues. Feeling that this will both inspire the writer as well as sharpen their reasoning and logic skills, she gives many anecdotal findings that demonstrate more commitment on the part of students to be involved in their writing. Upon completion of various essays in this regard, she encourages her students to present their work publicly, pushing them out into 'the real world' and establishing a conversation with experts and bureaucrats about the subjects they write about. Then, at this point, she feels that then the feedback the students get is more valuable than simply a response to a textbook essay. "Communities of practice thrive on the tension between participation and reification. Even though participation is sometimes given insufficient attention in the educational process, it is easy to understand. It includes the experiential side of negotiating meaning-living in the world, participating, acting and interacting, defining one's identity through membership in communities; and recognizing the mutual engagement of participants in any given situation." Thus, she encourages students to address social issues that involve their community, everything from race to the propagation of food carts and unlicensed vendors. Her evidence relies on many success stories of students transformed from merely reacting to a reading to actively participating in a cause through their writing. Personally, I loved the Signs of Life in the USA series of textbooks and the readings on popular culture and current topics. I saw a great deal of discussion in classrooms with students challenging each other's opinions and reactions, and I can't help but think dismissing these textbooks is not the answer. Her insight on the writing process is fascinating, but at times I noticed that she seemed to want to remind the reader of her success and her position, lest we forget that she is an expert in her field. This became wearying, almost as if she was too eager to justify her assertions over what is more commonly taught. And at times, her explanations of her schedule and her curriculum felt like she was proving to the reader just how busy she was-a subject that was never in doubt in the first place. All in all, this text is more appropriate for academics in a university setting who may wish to experiment with the styles of composition that best engage the student. There is no lack of references or cited evidence, and she builds a good case for her beliefs. Special thanks to State University of New York Press (SUNY) for the Review Copy. 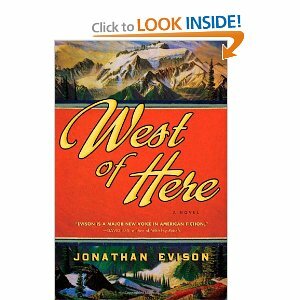 A new contest is in order, and it's for a brand new hardcover copy of Algonquin's best-seller, West of Here. Sorry to say, it's a US only giveaway, and it's limited to blog followers. Anyone interested must leave a comment to this post, and a random generator will select a winner on May 1, 2011. BTW, it has one of the most beautiful cover designs I've seen in years. This is the latest in the series of non-fiction books by Reader's Digest that explain everything from the origin of famous sayings, foreign phrases used in English, and brief explanations of classic historical figures and texts. 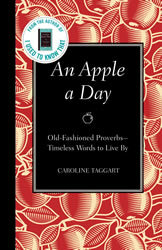 This one in particular focuses on old-fashioned proverbs; "timeless words to live by." Ever wonder where "strike while the iron is hot" came from? Or, "there's no smoke without fire?" This explains the origin as well as the proper use of such phrases, because many get twisted in usage or misapplied. The author did extensive research in the works of Malcolm Gladwell, Lao-Tzu, PJ O'Rourke, and other notable writers. It's sectioned via index and glossary, and the design of the book fits into the others in the series: A Certain Je Ne Sais Quoi and Easy as Pi, to name two that dealt with foreign phrases and math. I believe there are at least six books in the series, and these would make an ideal collection for a student as well as someone simply curious about the etymology of words and axioms in both popular culture and classic literature. Thanks to FSB Associates for the Review Copy. 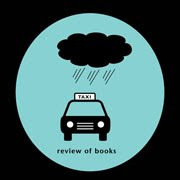 I'm pleased to say that I'm back and ready to get back into gear with the website, the reviews, and the freelance work. It's been just over six weeks since everything went crazy, when a mass was discovered in my liver. As of last week, it was removed at USC Hospital in Los Angeles, and I'm on the road to recovery. They still don't know what it was as pathology is out still (sort of a scary thing to wait on! ), but with the mass (the size of a loaf of bread) gone I already feel much, much better. I know it's corny to say that my attitude is better in the face of fear and suffering, but it really is. I'm so grateful for my family and friends and so much in life seems completely irrelevant in view of what happened. I have to thank my friends for the cards, flowers, and the delicious meals that have been arriving nightly (and everyone so generous as to make sure my parents are fed as well!). The phone calls that were so encouraging even when at times all I could do on my end was cry. They know who they are-I can never thank you enough! All that time in the hospital (17 nights at two different times) should have led to some great reading opportunities, but I read virtually nothing but the LA Times towards the end. It hurt too much to hold up a book. Now with recovery I'll have some time to play catch up. My apologies to the publicists who were hoping for certain reviews by release dates-I'll try to catch up eventually. I did have to drop a few print magazine assignments (BUMMER!) but I hope to recoup those eventually. every single nurse was unimaginably nice-I felt like a princess! Ambulance drivers don't take tips! Who knew? 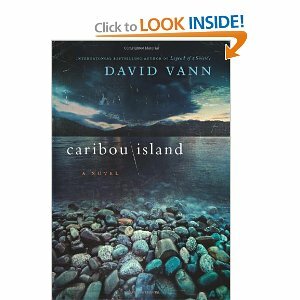 Right now I'm reading Caribou Island by David Vann, and after that I'll have things back in gear. For the Eastern European Reading Challenge I have Travels in Siberia next.